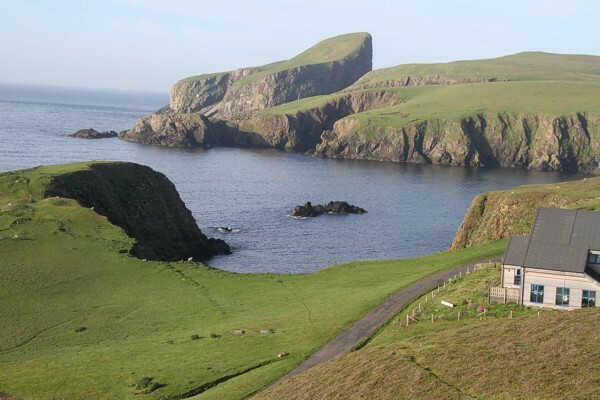 Fair Isle is 4.8 km (3.0 miles) in length and 2.4 km (1.5 miles) wide. The total length of the coastline, with all its intricacies, is difficult to estimate, but may be over 32 km (20 miles), with 24 km (15 miles) being a best guess at an entire walking circuit. It has an area of 768 hectares (3 square miles). For weather forcasts, live webcam images and links to detailed weather data. Where to see and buy the distinctive, local knitware. 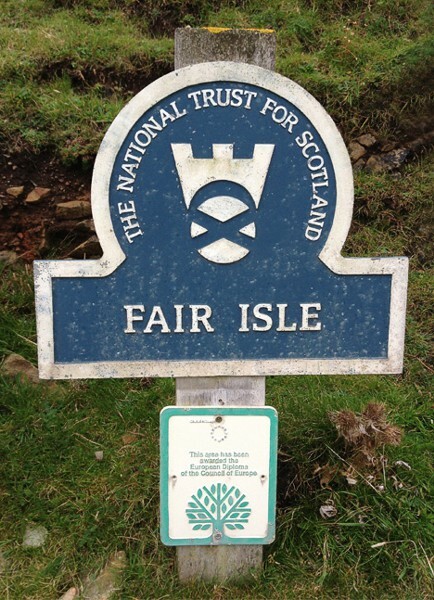 What rocks make up Fair Isle? Discover where fossils and copper have been found. 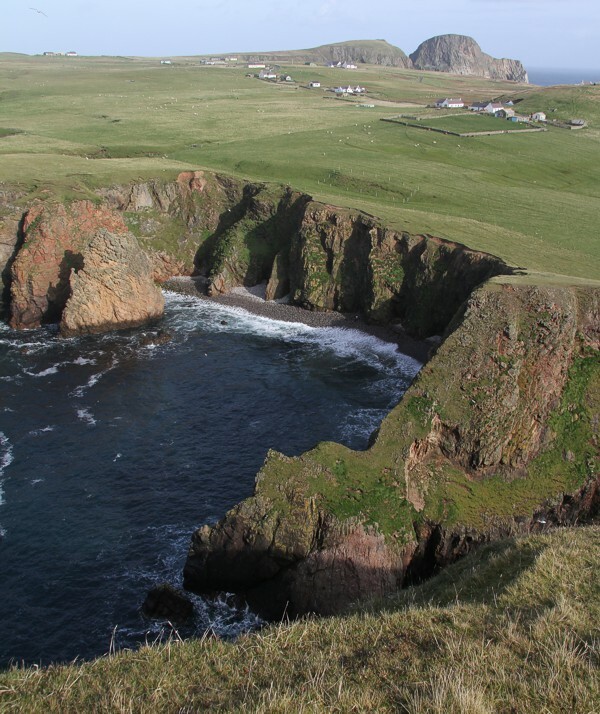 The diverse landscape of Fair Isle is dominated by cliffs, stacks and arches. 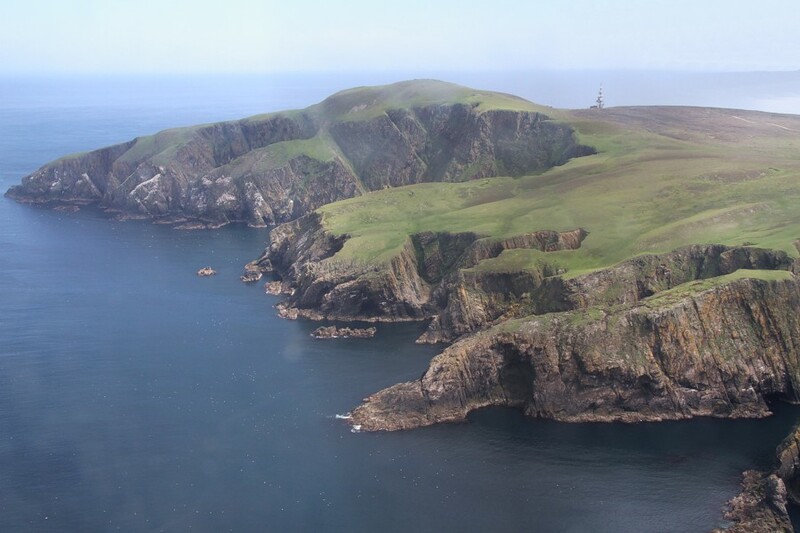 The island's crofts are located in the south. Find out about the flowers, insects and sea mammals.